This is the first one of these from Rosi I've ever offered. 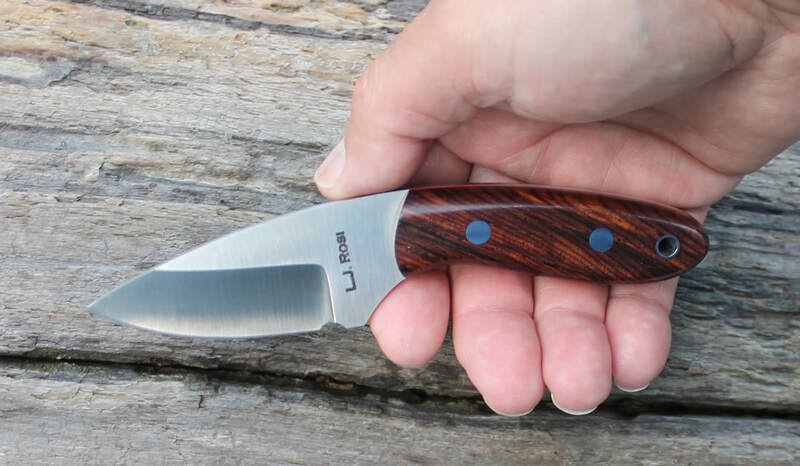 It's neat,really fits your hand well,it's gotta be irresistable to someone here looking for a good skinner type knife. 1/8" CTS-B75Pss ,hollow ground,Rc 61. 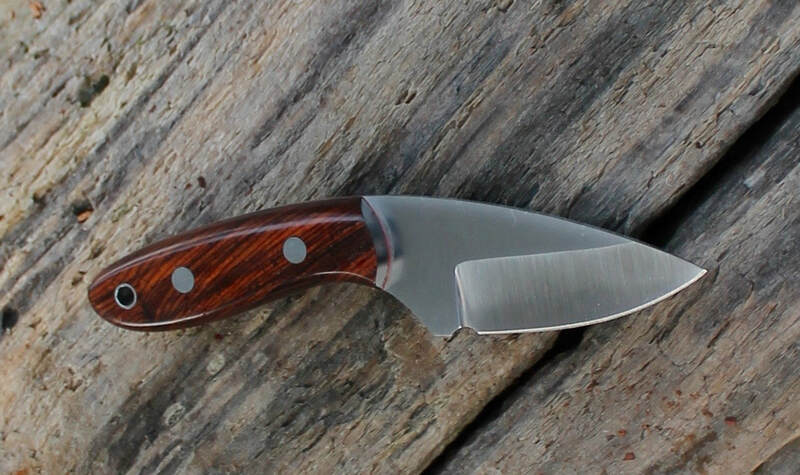 Book matched figured cocobolo with red liners . SS Corby bolts & lanyard tube. 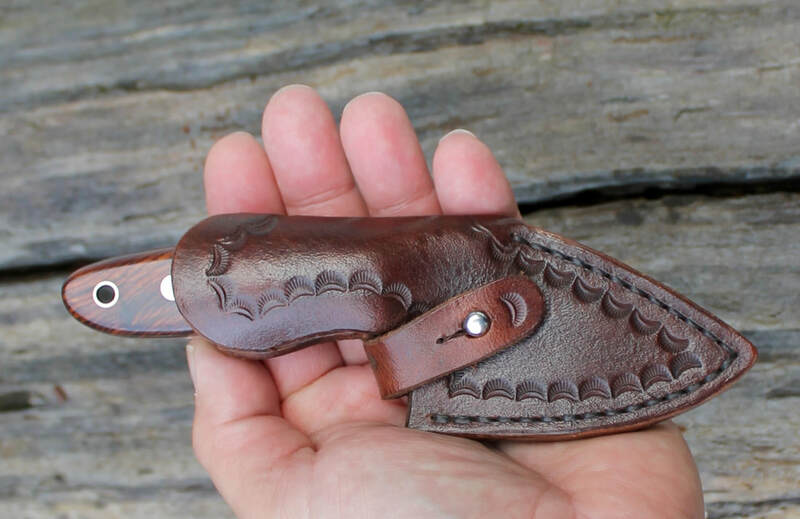 Custom sheath ( no belt loop ),is just fantastic. OAL is 6-3/8" ,with 2-3/8" of cutting edge. 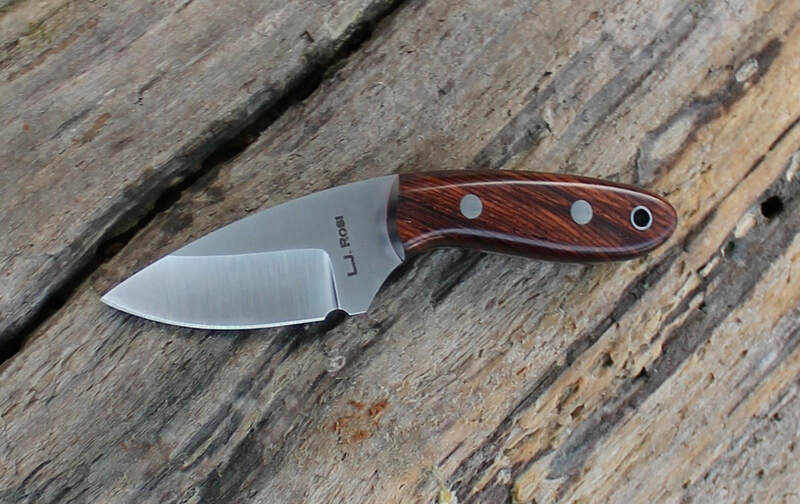 Excellent caping & skinning tool .